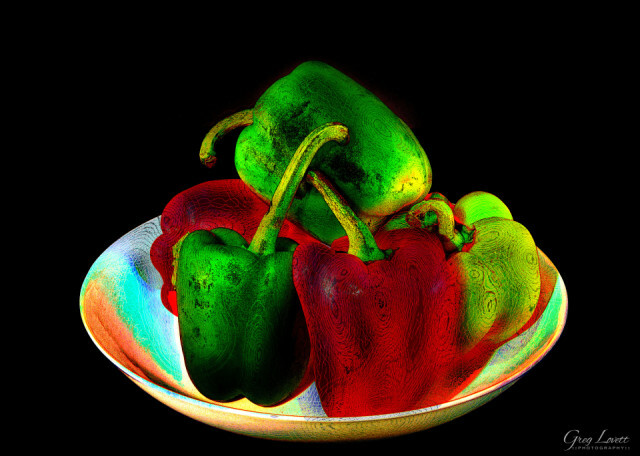 A trip to the fridge followed by messing around in Affinity Photo to abstract this bowl full of peppers. I know we Brits like to talk about our weather, but it really was unpleasant first thing - almost biblical in its intensity. Certainly the chap next door thought so - he's still hard at work on his Ark even as I post this shot.